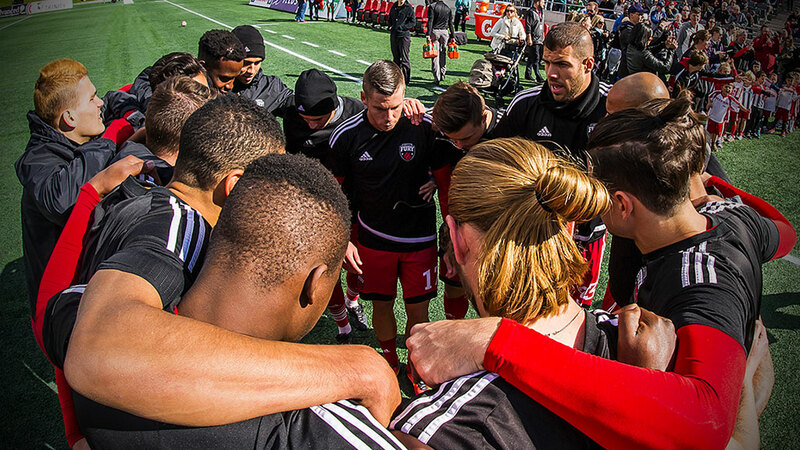 With the 2017 season around the corner, Fury FC continue to build their squad, readying themselves for their USL debut. While 14 players are already under contract for next season, with several of them returning from the 2016 campaign, some players of this year’s edition won’t be back in 2017. The organization would like to thank these players for their contribution to the club and the city. Romuald Peiser, Mauro Eustaquio and Marcel DeBellis were all key members of the Ottawa Fury FC in the past three years and Rafael Alves for the last two seasons. All of them played a vital role in the organization’s success and in their own way helped the team reach the 2015 Soccer Bowl. Peiser shattered several NASL records while also winning the 2015 NASL Golden Glove Award and a 2015 NASL Best XI Selection. In two seasons with the club, Alves proved to be a central piece of Ottawa’s backline and he is leaving Fury FC as the club’s all-time games played and all-time minutes played leader. The Brazilian centre-back was also a 2015 NASL best XI and captained the team many times last year. Meanwhile, Eustaquio and DeBellis have been with the club since its inaugural year in 2014. Eustaquio always stepped up his game when he was called upon and had a career year in 2015. DeBellis was one of the most professional and hardest working player in the squad and his Fury FC stint was highlighted by his contribution in last year’s Amway Canadian Championship as he helped Ottawa defeat Edmonton and move on to face the Vancouver Whitecaps in the semifinal stage of the competition. Also not returning next year are Rich Balchan, James Bailey, Bryan Olivera, Mozzi Gyorio, Thomas Stewart, Mallan Roberts, Kyle Porter, Maxim Tissot, Fernando Timbo, Giuseppe Gentile and Danny Mwanga. Meanwhile, captain Julian de Guzman continues to rehab a knee injury suffered during the season before making a decision on the future of his playing career. The club will make an announcement in the new year.